State Street, the US investment management firm behind the Fearless Girl statue, isn't as supportive of gender-diversity as one would think, according to a new Morningstar study. Research from Morningstar associate director of quantitative research Madison Sargis shows the firm's US-incorporated gender diversity fund SHE failed to support eight of the 10 gender and diversity resolutions it faced, voting against six and abstaining on two. Notably, SHE failed to support any of the five pay equity disclosure resolutions—requesting boards to examine workforce gender-based pay gaps—and opposed both resolutions requesting the incorporation of senior management diversity metrics in chief executive performance pay. "Of the three gender diversity funds reviewed, the voting record for State Street's Gender Diversity Index is the least supportive of shareholder resolutions addressing gender and diversity," Sargis says. "This seems at odds with the investment objective stated in the fund's prospectus, namely, to invest in US companies that are leaders in advancing women through gender diversity on their boards of directors and in management. "SHE is evidence that a fund can state an ESG-focused investment objective but can also then vote in opposition on relevant shareholder resolutions," Sargis added. Sargis says State Street's trailing vote record can be attributed to its stated preference for engagement over voting: "Our preference continues to be constructive engagement, and we only take voting action as a last resort," notes State Street Global Advisors chief executive Cyrus Taraporevala. However, Sargis says engagement and voting work hand in hand. "Investment stewardship is the exercise, on behalf of fund beneficiaries, of the control rights inherent in investments. Under SEC rules, fund managers have a fiduciary duty to actively vote their proxies as part of this stewardship responsibility," she says. "Engagement usually precedes the filing of a resolution, and a breakdown in the dialogue can be the very reason that a resolution ends up on a proxy ballot. For [resolution] filers, engagement is a strategy supported by proxy voting, rather than precluding it." SHE racked up its voting record while State Street was positioning itself as an advocate for women in corporate America. 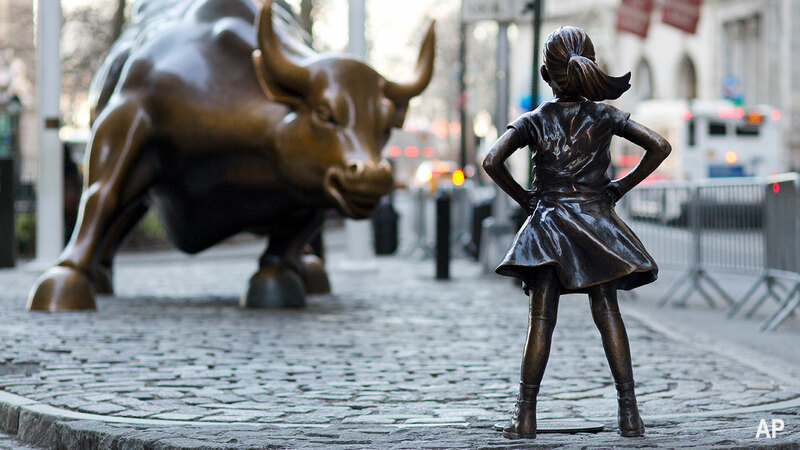 In 2017, the firm installed its Fearless Girl statue in New York's financial district - a 130cm-high bronze sculpture of a girl defiantly staring down the Charging Bull, erected in 1989 – and called on companies in State Street's portfolios to increase the number of women on their corporate boards. The statue is considered by many to be a powerful symbol of female strength, and a replica of the statue stood in Melbourne's Federation Square ahead of International Women's Day on 8 March. State Street's campaign was amplified by public statements around the firm's intention to use proxy voting power if companies fail to take action. State Street reports having engaged with a large number of companies over board diversity concerns and having voted against 581 companies' nominating committee chairs in 2018 where boards failed to add a female director. In a rebuttal to Morningstar's research, State Street head of ESG investments and asset stewardship Rakhi Kumar said looking at proxy votes alone can produce an incomplete measure of the firm's dedication to gender equality. 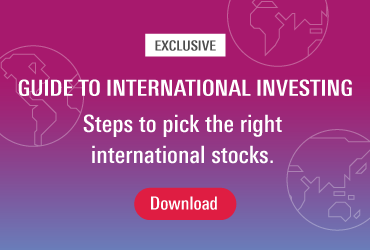 Sargis's study analysed the voting records of three US funds with a primary focus on gender - State Street’s SPDR SSGA Gender Diversity ETF (SHE); Glenmede’s Women in Leadership portfolio (GWILX); the Pax Ellevate Women’s Equity Global Leadership Fund (PXWEX) — to see how they voted across the 63 gender-related shareholder resolutions. Pax Ellevate Global Women’s Leadership Fund voted in support of all 23 gender and diversity resolutions on the ballots of portfolio companies over the past three years. Glenmede’s Women in Leadership portfolio fund voted affirmatively on all 14 gender and diversity resolutions it faced. Sargis says voting in support of workplace diversity and gender pay resolutions - positioned to address structural, cultural, and other barriers to advancement that leave women underrepresented in senior management - provides the most important pool of future board nominees. "Advancement to corporate boards starts with equal opportunities to participate in the workforce, to rise to senior management positions, and to be rewarded with equal pay for equal work," she says. "Funds can have impact through how they invest and how they exercise ownership rights, including proxy voting and engagement." Sargis characterises SHE's failure to support initiatives that foster access to the highest corporate positions as "short-sighted". "SHE is voting against the very initiatives that can help address gender inequality in corporate America."